I have absolutely no clue what this is. Possibly wood? It's old. Has holes in both sides. Thank you for submitting your item for appraisal. 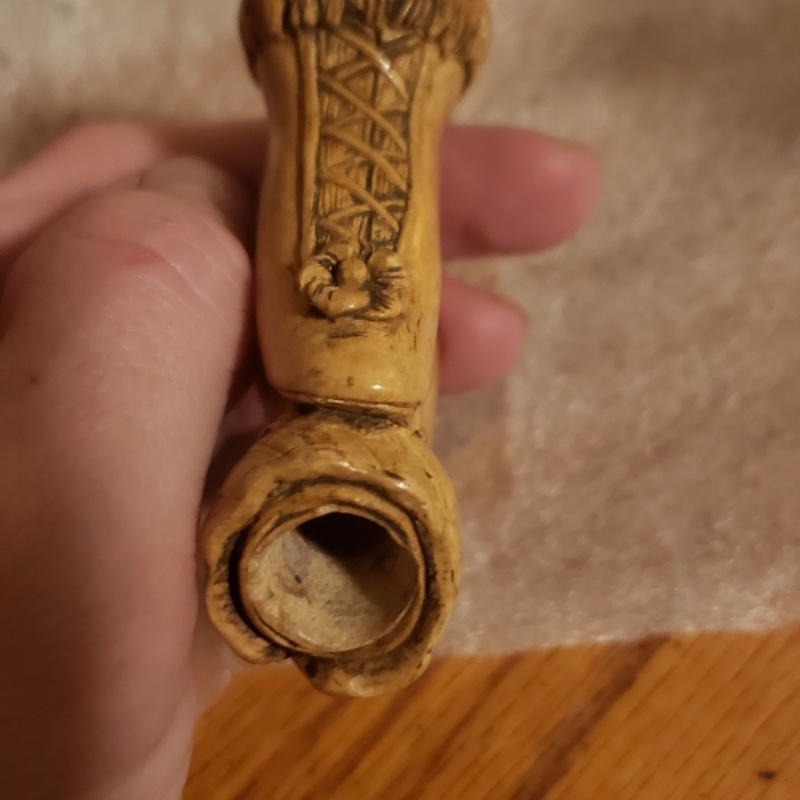 This appears to be a part of a circa 1880-1900 meerschaum or sepiolith pipe. The material is very soft when wet and usually was carved in Turkey but also in France. I assume the pipe head or cigarette holder in your possession was manufactured in France, the carved amber or horn mouthpiece is missing. The estimate is based on similar items actually sold at auction. A true collector of shoe related items might be willing to pay more than the high estimate.